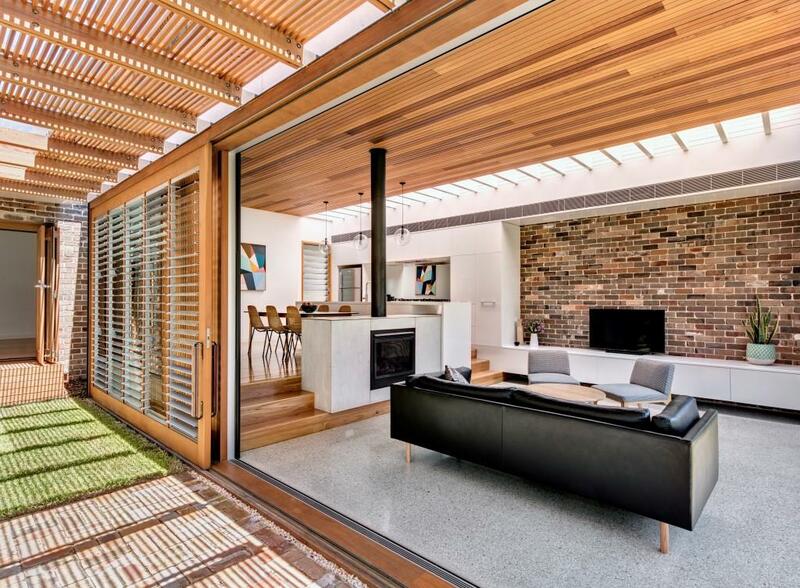 The design brief called for the addition of an open plan kitchen and living space, laundry and bathroom to an existing single storey double brick federation period house for a young family with two boys under the age of four. 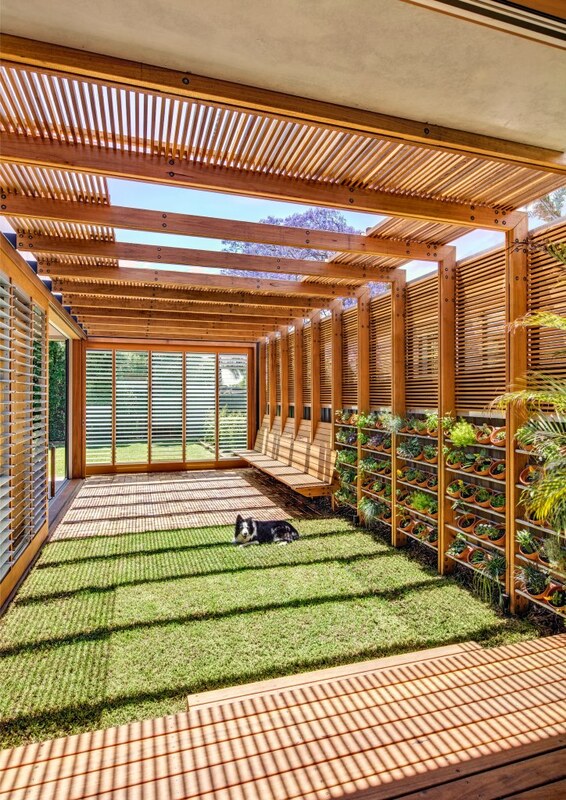 The site is flat with a north-facing backyard surrounded by two-storey neighbouring houses overlooking the garden. 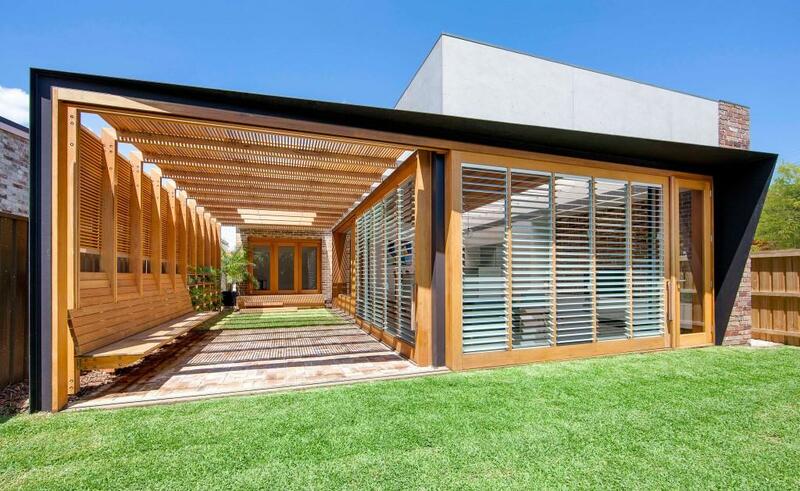 The design was a direct response to the site and the existing built environment. To work with the client’s budget, the existing house was largely retained with reconfiguration to add an additional bedroom and ensuite. 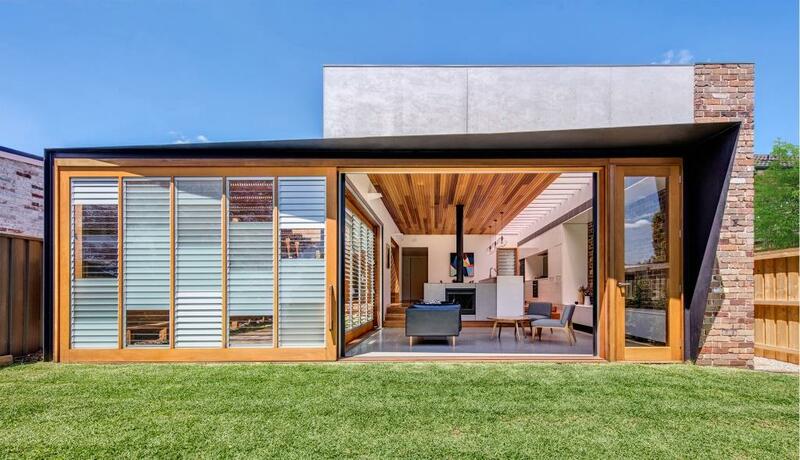 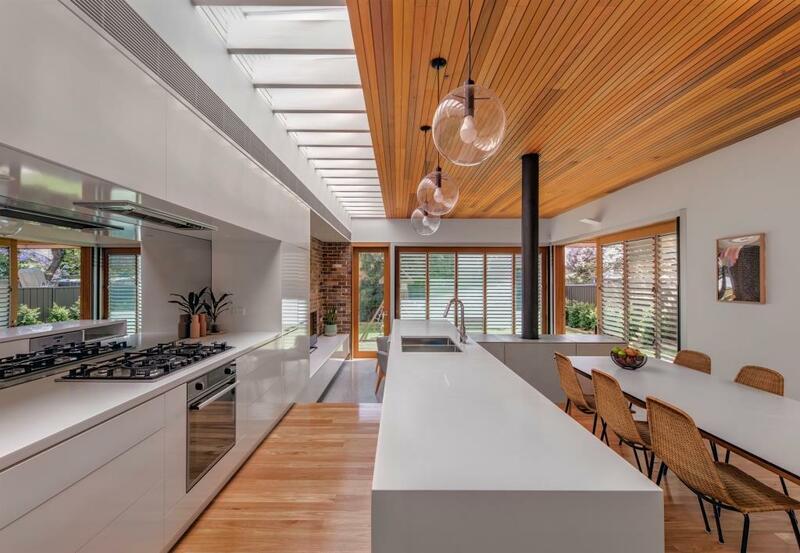 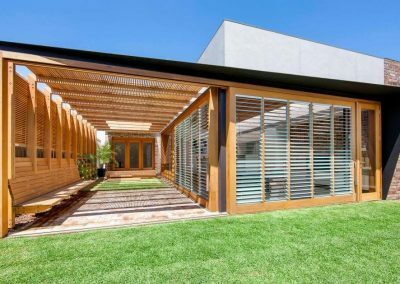 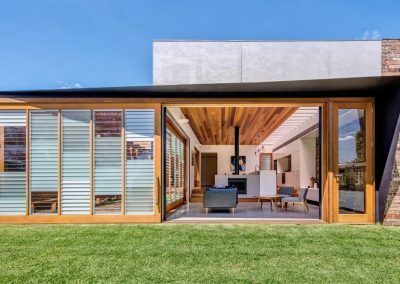 An open plan kitchen/dining and living space was added to the rear, with an extensive timber shade structure over the outdoor living space connecting the living pavilion with the rumpus room in the existing house. 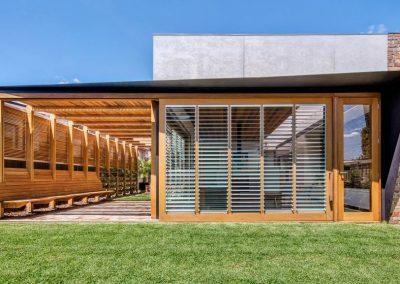 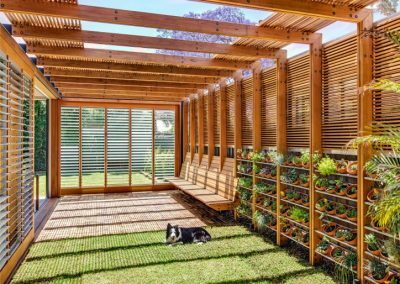 Two oversized sliding doors with Breezway Louvre Window components open the living space to the garden, creating a variety of outdoor space options. 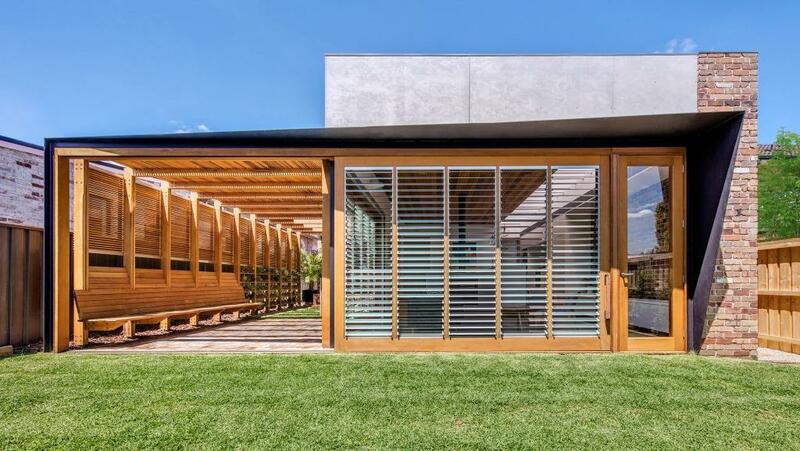 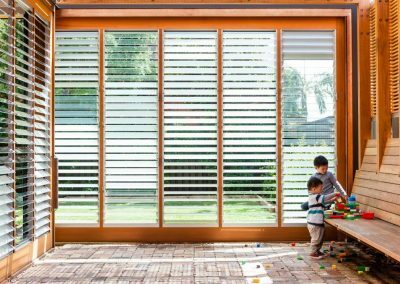 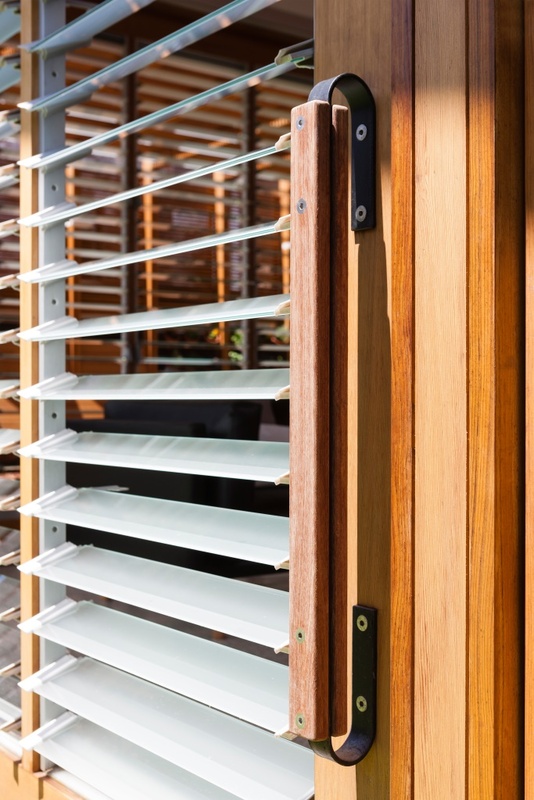 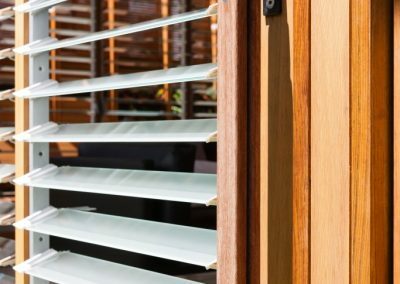 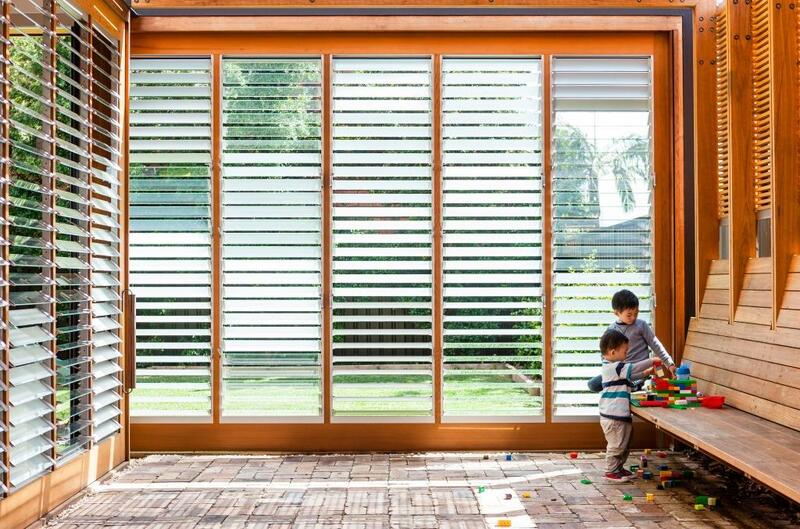 A combination of aluminium, opaque and transparent louvre blades placed strategically in the sliding doors provides privacy to the living space from surrounding neighbours while allowing an abundance of light and ventilation into the house.